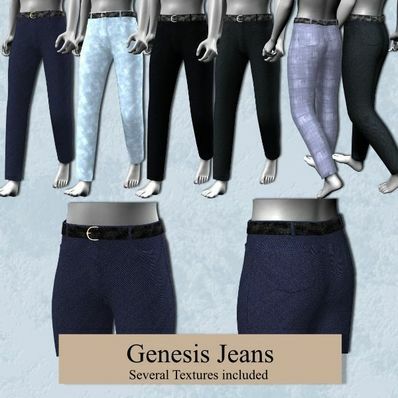 Jeans for Genesis for use in Daz Studio 4. There was a problem with normals facing the wrong way on the legs, so this has been updated. Glad i found the jeans i was looking for. Thanks for sharing. Thanks for the updates, Wendy. There was a problem with normals facing the wrong way on the legs, so this has been updated. Hope it works OK now. Thank you for these great jeans, textures and the Morph link. You're the best!